What a great opportunity! 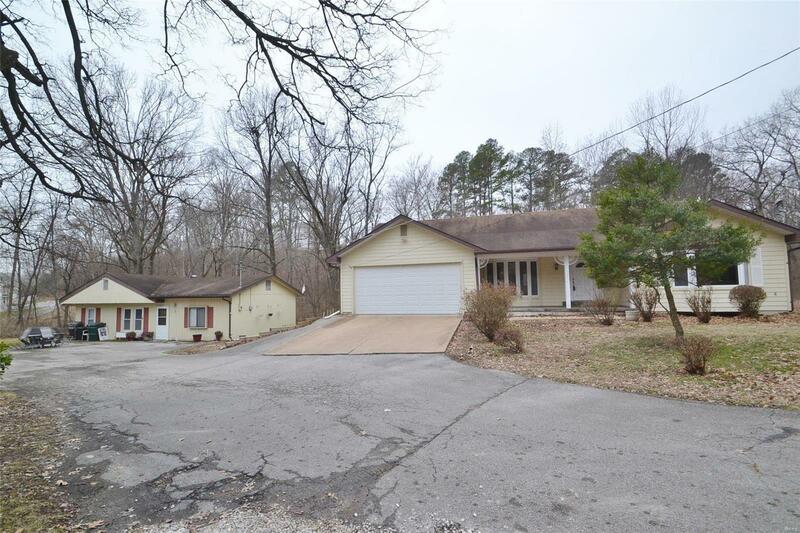 3.5 acre wooded lot with a 3+ Bedroom/3 Bath Great Room Ranch home PLUS a detached 3 Bedroom/2 Bath Rental Home all in a convenient Fenton location! The main house features formal living a dining rooms, greatroom with woodburning fireplace, large kitchen and breakfast area, along with 3 bedrooms and 2 baths on the main floor. The finished walk-out lower level has a large family room w/2nd woodburning fireplace, full bathroom, bonus room and exercise (or extra bedroom), along with lots of storage space. The oversized 2 car garage has separate staircase to the lower level too! Along with this, the rental home (which was formerly a detached garage) offers living room, kitchen, 3 bedrooms, 2 bathrooms and large storage area. Ready for your own updates and a little TLC, the seller is offering a $5,000 decorating/repair allowance. For convenience, the properties are being sold "as is" with the seller providing no inspections or repairs. Elementary School: George Guffey Elem.